iOS 7 - Apple's biggest redesign yet! It includes a whole new redesign to everything that was on the original iOS! It includes many new features, like a brand new control center, air drop, and a redesigned lock screen. 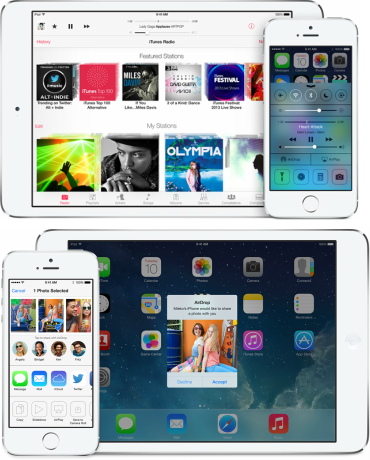 You will even find new things on your old favorites like notification center and messages. Many have been criticizing Johnny Ive, the designer of iOS 7, for the "childish" icons, but I must admit, they grow on you. I have used iOS 7 since June when the beta came out and have loved the experience! iOS 7 includes two all new awesome features, while including an AWESOME new multitasking redesign. Air Drop, Apple's sharing program, is a great new way to share photo, video, and even apps! All you have to do is find the control center's Air Drop button and click on it. Control Center is another new feature that explains itself, it is a control center. You can access it by sliding up from your app dock. It is very useful, but many users would like if Apple decided to let us change the features. Multitasking has been greatly improved in iOS 7, it now shows a full page overview and all you have to do is swipe the program away. just like Android. Myself and others would additionally like a delete all button in the near future. As I mentioned earlier, every app got a redesign. 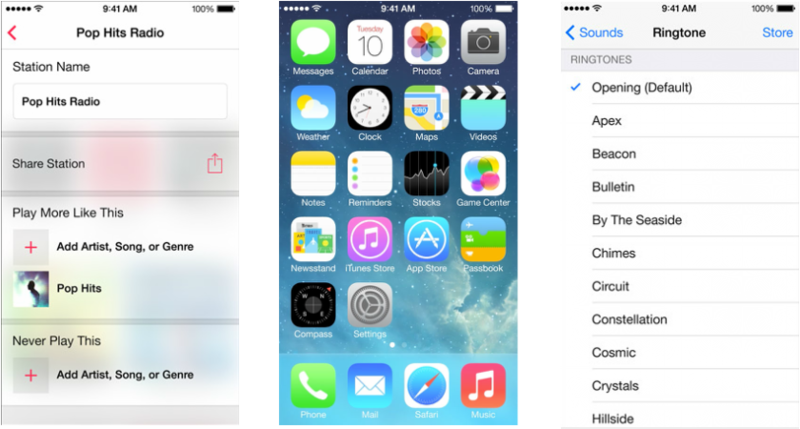 There is so much to explore in iOS 7 like new tones, and a new message sending animation. I am going to give a very BRIEF overview of the minor features below. iTunes Radio is Apple's new Pandora and Spotify competitor. From my testing, it has worked great. I still prefer Pandora over it, but that is just myself. It works as that title suggests. It is photo sharing over iCloud. Slo-Mo is Apple's new slow motion camera feature available only on the iPhone 5S. It is a great feature that iOS users have been waiting for, but it is only on the 5S, so many users have been disappointed. Click here to see the rest of the minor features on Apple's website.